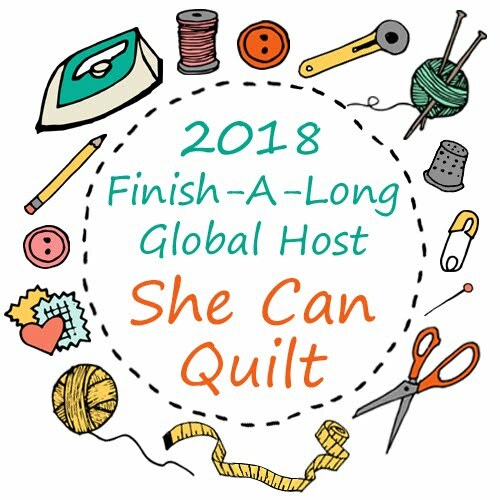 she can quilt: Imp - Ta Da! I named this quilt Imp - she is playful and fresh and sassy! I think she is the start of an impish series. I have shared my progress in making her here for a while now. 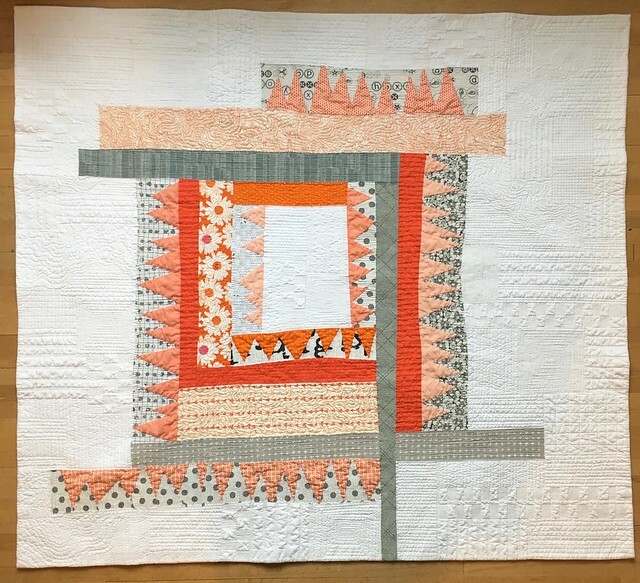 This quilt was inspired by the work of Gwen Marston, who I had the great fortune of meeting and taking a class from at QuiltCon 2016. 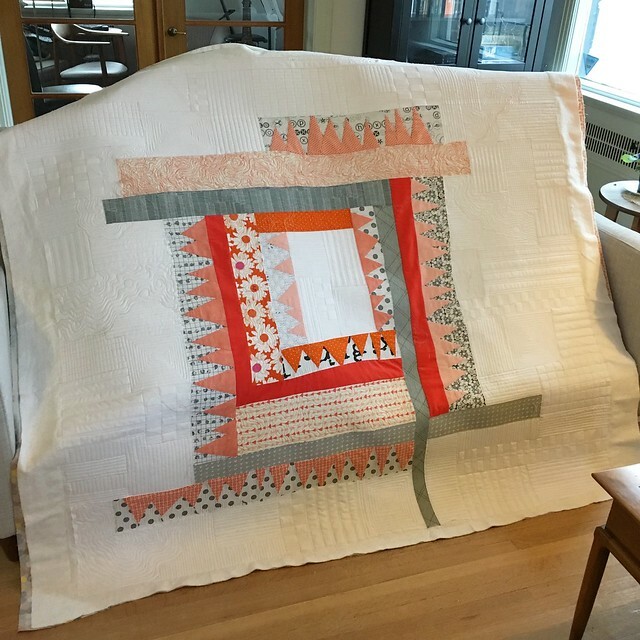 Gwen is one of my quilting heros and it is just a pleasure to work in the improv style that Gwen's work reflects. 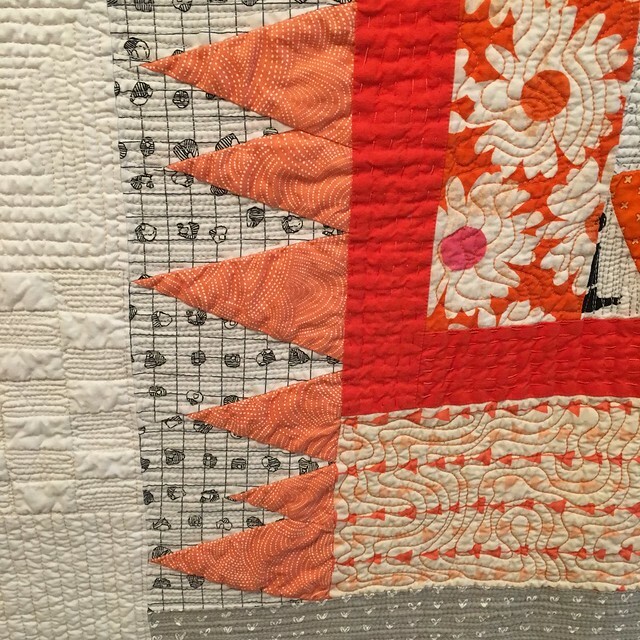 There were no rulers used in the piecing of this quilt or in the quilting of this quilt. I had a lot of fun with arial view style quilting, all done free hand on my long arm quilting machine. I also hand quilted in a Kantha style on the orange solid bits, again a nod to Gwen who hand quilts much of her work. Although I started this quilt thinking I would make a lot of triangles, the quilt insisted on being a log cabin style medallion inspired improv piece instead. It is good to listen to the work as you go, at least I think so. I used a lot of prints in this quilt, which is a departure from how I usually make modern quilts. The prints are a nod to the traditional inspirations in this piece. I did wash Imp and you can see in the first photo that I added a faced binding (a binding that is all turned to the back of the quilt). The washing and drying is a part of my process, the texture created is part of the industrial modern style design I am looking for. This last photo give you a bit of scale, although was taken before I trimmed off the edges and before I washed her. The quilt is about 55" x 47", or about the size of a regular sofa. 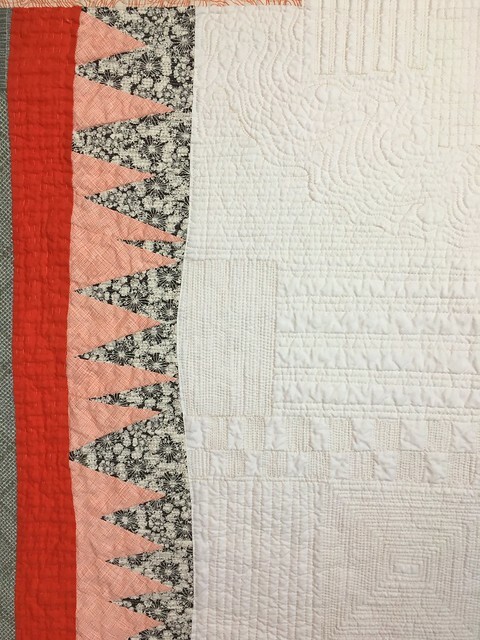 I have to say that I loved every part of making this quilt, the inspiration, the design and piecing, the quilting by machine and by hand, even the binding. I can't wait to play with this kind of design again. Imp was also on my Q4 FAL list. Wow! I love this! I'm a student of Gwen too, and I think you've nailed it! 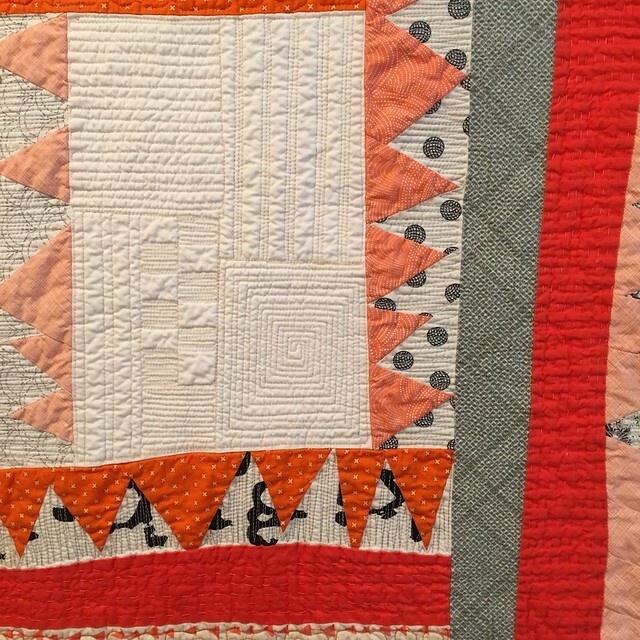 Great design, great colors and beautiful quilting. I think one should listen to what the quilt wants too, it's usually right. And it's more fun, in the long run. Absolutely stunning! I love the texture of this quilt! Prints, colors, quilting...all perfect! Love that you used prints (especially that Cotton and Steel daisy print) and it still reads as mostly solid or almost solid. Thanks for teaching me the term "kantha!" This is a gorgeous modern medallion-like quilt. I think you have made Gwen proud. Nice! wow! so much texture, and the colour combo is gorgeous! No rulers??? Wow. It's a great piece, and the quilting is amazing. Love it. Or rather, love her! I like this so much! When you started, I thought it was a small piece, so I love seeing how large it is. 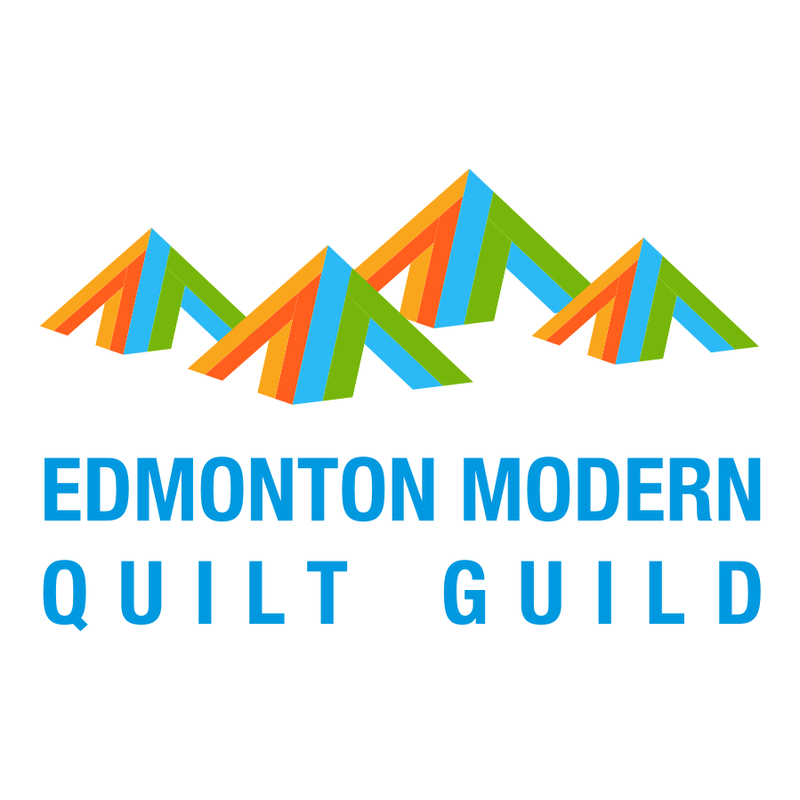 Your quilting enhances your design perfectly! Did you trim her without rulers, too? I do love the texture and all the nods toward the inspiration and yet I can see so much of your own influence and style in the finish as well. 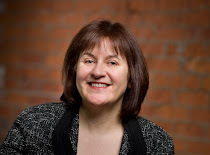 This looks great Leanne. Such fresh and modern feel. This is a gorgeous Imp! Love Gwen Marsdon's quilting and methods too. I have a wip that I'm playing with using her techniques. It is beautiful! Your quilting is so striking! It is so beautiful. I love everything about it. Great job. Beautiful fabrics and great design! Makes me smile big! My daughters and I traditionally stay up after grandkids and husbands go to bed and watch "While You Were Sleeping" with Sandra Bullock. Favorite! And of course White Christmas with Bing Crosby and Danny Kaye! Oldie but goodie! Also I follow on Instagram and Facebook. It's such a beautiful quilt but particularly your quilting is a revelation. It's perfect. Wow, I really like this quilt. Awesome!!! Neat! I love the texture! I really like this - the quilting is just amazing! I love how all your quilts seem to have personality of their own. Imp is great (I love her name, too). She reminds me a bit of an impish version of a Venus flytrap. And I absolutely love the quilting. 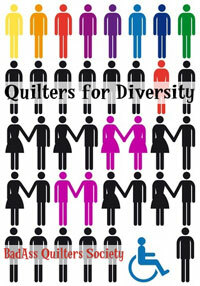 This is a fun quilt - I love it! It seems to me the quilts that turn out to be my favorites are always ones that I had a LOT of fun making...should always remember to have fun! Love the way your quilt talked to you :) She's got a good head on her shoulders! This is gorgeous!! Love the way you've quilted it.